There are two artists using this name: 1. 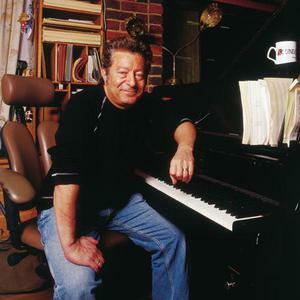 Jeff Wayne is a composer known mostly for his musical version of H.G. Wells' The War Of The Worlds. In the production of The War Of The Worlds he put together all of the music himself and contributed some vocals to the final track of the original 1978 release. He also wrote several advertising jingles in the 1970s which appeared on television in the United Kingdom, notably the Gordon's Gin commercial, which was systematically covered and re-covered by the Human League. 1. Jeff Wayne is a composer known mostly for his musical version of H.G. Wells' The War Of The Worlds. In the production of The War Of The Worlds he put together all of the music himself and contributed some vocals to the final track of the original 1978 release. He also wrote several advertising jingles in the 1970s which appeared on television in the United Kingdom, notably the Gordon's Gin commercial, which was systematically covered and re-covered by the Human League. Other well-known themes he wrote include Good Morning Britain (TV-am) and LBC radio. 2. Jeff Wayne is an Irish singer who, early in his entertainment career, worked with Joseph Locke.